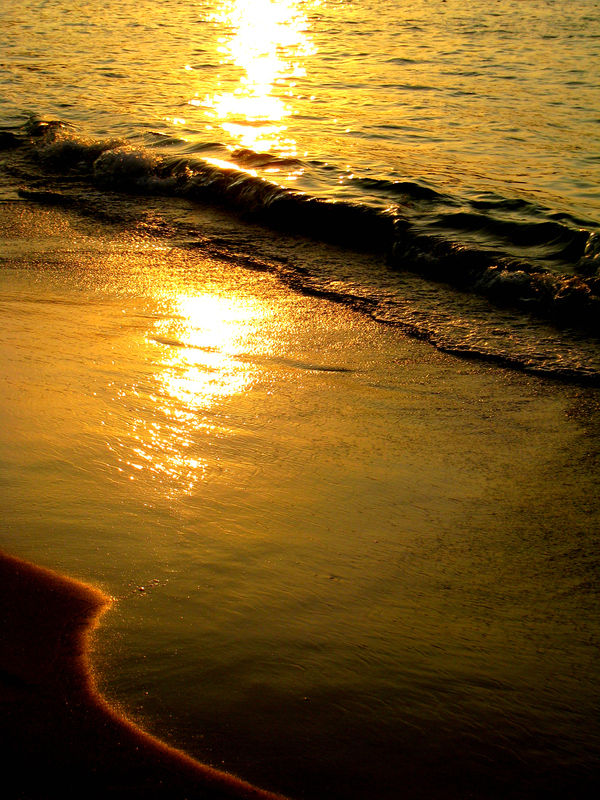 When people think of tourist destinations in Thailand, Phuket is one of the first hot spots to check out. Although it is the biggest island in Thailand, after my latest trip, I would most definitely say its not the best. Because of its popularity, it has been over-run by tourists and the allure of a tropical island has been stripped away. Beautiful white sand beaches are covered in lounge chairs and umbrellas adverstising Western Union to the local banks to Subway. Streets are filled with vendors that have no problem pestering and following you in hopes of making a sale. Guesthouses are expensive and although the food is good, it is truly an investment. 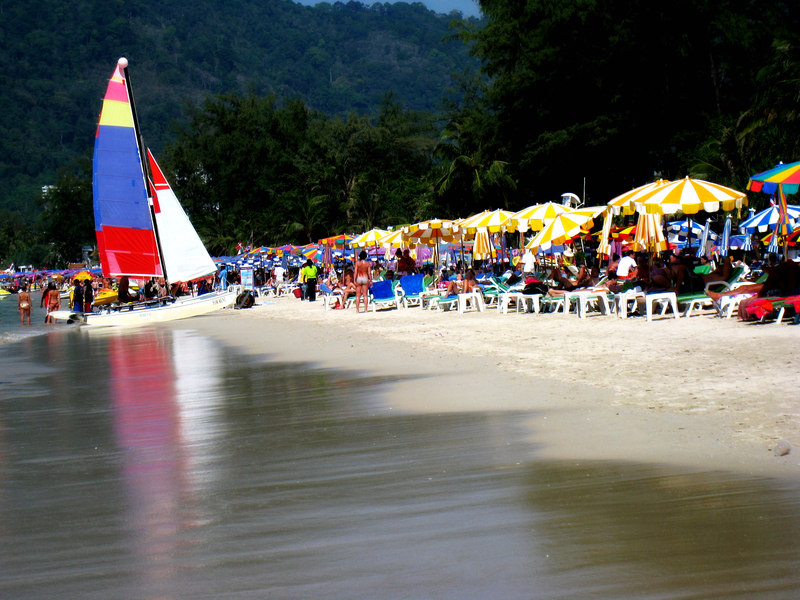 I originally did not want to go to Patong beach, which is the “main” popular beach on Phuket Island. I knew that it was filled of backpackers looking to party and get into trouble. This isn’t the type of scene I’m looking for, but after futher review of the islands accomodations, I concluded that it might be the cheapest. There are other beaches that are supposed to be more quiet and secluded, but high-end resorts have monolpolized those areas and they were not an option for me on my small budget. I arrived in Phuket Airport on Thursday morning, after my first domestic flight in Thailand from Bangkok on Air Asia. It was filled of Thais trying to coax you into their taxi or tuk tuk in hopes that you pay a high price in return. Because I am not new to Thailand, I know that 700 baht to get anywhere is quite the premium. 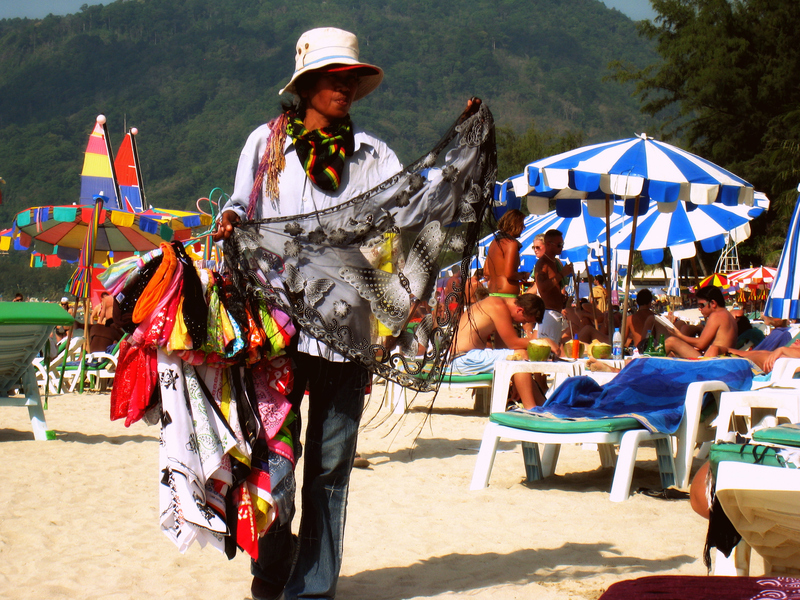 I ended up taking a mini-bus for 150 baht to Patong Beach. I orginally wanted to go to Kata Beach because I had read in Lonely Planet that it was more my speed, but when perusing the guesthouses and resorts there, I was told that it was way too expensive, especially this time of year which is considered high time. On our way to Patong Beach, the minibus stopped at a booking agency and this is where I discussed accomodations options. The cheapest place the lady could find for me was 1,300 baht at Golden Beach Guesthouse! That was way more than I was accustomed to paying, but since I was meeting my friend Adam there, I knew that I was only going to be paying half. I also decided that I could look around and see if there were any cheaper places, but when I reached my destination it was pouring rain, and I decided against that. The room wasn’t too bad and I was a little jet-lagged so I took a nap before Adam arrived. Later, we decided to explore a little a discovered the overly crowded beach and rows and rows of stalls catered to swindling tourists. I thought it was hilarious that the only things I pretty much took pictures of were hilarious signs that we spotted instead of beautiful scenery and breathtaking beaches. Instead, people watching was our pasttime and wherever we went to dinner, we were always sure to get a table that had the best view of the passersby. And boy did we see a lot of great ones. The next couple days were full of relaxing on the beach and exploring the town, if you can even relax when a screaming baby is a few meters away and a naked two year old is running around. The one thing we cannot fathom is why in the world would you bring your newborn on a vacation. The kids aren’t going to remember it and the parents are most definitely not going to get all they want out of their vacation! It just doesn’t make a whole lot of sense! The food was definitely a high point of the trip and I sampled a few amazing drink concoctions as well. We went to a great mexican restaurant on the main road and although it was nothing like California Mexican food, it definitely hit the spot and gave me a litte taste of home. On my way back to Lang Suan, I had the chance to tour the other beaches in the minibus and much to my surprise they looked a lot like Patong. It doesn’t look like there is much seclusion on Phuket! I’m definitely glad I went there, just to see how it was, but I will most definitely choose other islands over going back! OMG your blog is awesome! I am so proud of you for living life to the fullest. The only thing I am going to say is to be SAFE!! Erik’s fiance, Nikki went to many of the same places you are going and I know what a great time she had. You and Angie are very much alike in the independence category, which can be quite worrisome for mothers so…..once again take care of yourself and have THE TIME OF YOUR LIFE ! Can’t wait to read your next entry.